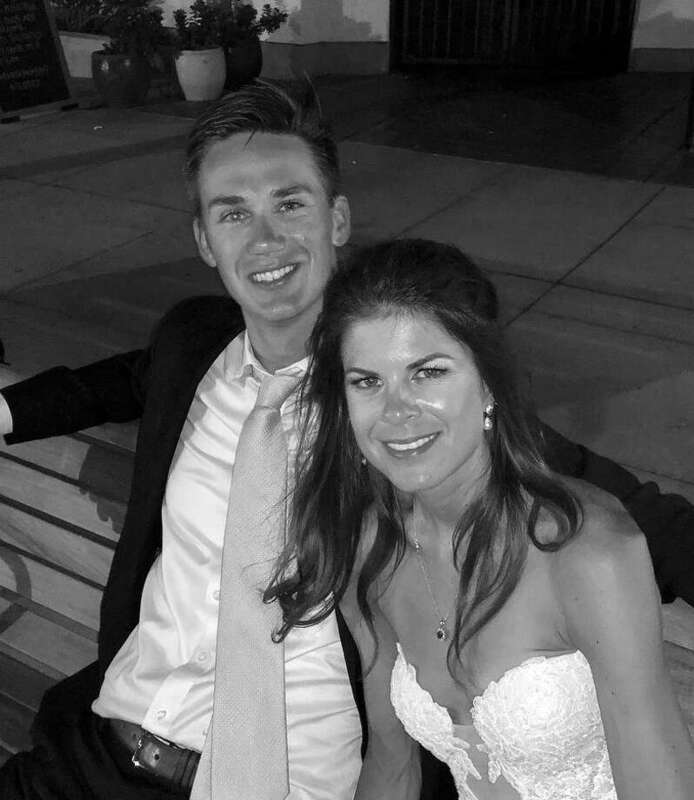 Emily Elizabeth Bigham, of Coronado, Calif., and Matthew James Kleber, of Fairfield, were married Aug. 4. The wedding took place at Sacred Heart Catholic Church in Coronado. The Rev. Frank Osgood officiated the ceremony. A reception followed at Coronado Cays Yacht Club. The bride is the daughter of Dr. and Mrs. William John Bigham, of Coronado. She is a graduate of the University of California, Santa Barbara. The bridegroom is the son of Mr. and Mrs. Donald Raymond Kleber, of Fairfield. He is a graduate of Fairfield College Preparatory School and Boston College, and attends the Kellogg School of Management at Northwestern University. The couple will honeymoon in Greece and reside in Arlington, Va.
Locals are invited to learn about the history of the Black Rock neighborhood by bike or by boat on Sept. 8. The tour, which starts at Captain’s Cove in Bridgeport, is organized by the Fairfield Museum and the town of Fairfield’s Bicycling and Pedestrian Committee. The bike tour begins at 1:30 p.m. and will last two hours. The boat tour departs Captain’s Cove at 4 p.m. Tickets for each tour or a combo of both tours are available at Fairfieldhistory.org/programs-events. Bike tour group members will begin the tour by cycling together toward the home of Caleb Brewster, the Revolutionary War-era spy ring leader who aided in reporting on British military movements to Gen. George Washington’s staff. At the time of the Revolutionary War, Fairfield’s border extended all the way to what is now Park Avenue. Just 60 miles away, however, New York City was occupied and controlled by British forces, making the Long Island Sound coast a hotbed of espionage and intrigue. The cycling tour, which covers about six miles, will also visit the John Wheeler House (Black Rock’s oldest homestead), Fayerweather Yacht Club & Port 5 (Old Black Rock Wharves) and the Wolcut Chaucey House (commander during the War of 1812). Following the bike tour, the boat tour will depart from Captain’s Cove and will cruise for approximately two hours. Participants will be provided a personal flotation device if they do not bring their own. The boat will visit the mouth of Black Rock Harbor, Battery Point, St. Mary’s-by-the-Sea, Ash Creek and Fayerweather Lighthouse. Participants can tour the Dundon House between 3:30 and 4 p.m., when the boat trip starts. The bike tour is $8 for Fairfield Museum members and $10 for nonmembers. The boat tour is $10 for museum members and $15 for nonmembers. Combo tickets are $15 for museum members and $20 for non-members. Registration is at Fairfieldhistory.org/programs-events/ or by calling 203-259-1598. Keith Gallinelli, chairman of the Fairfield Bicycle and Pedestrian Committee, said those interested in the bike tour, but who don’t own a bike should consider the free Fairfield BikeShare Program operating at Zane’s Cycles, 1215 Post Road, Fairfield. Bicycle tour participants are required to wear helmets, and the group is limited to the first 25 people who sign up in advance. Children 13 and older can be part of the tour, but must be accompanied by a parent. In the event of poor weather, a rain date of Sept. 22 has been scheduled. In 2010, Aspetuck Land Trust partnered with the town of Westport to create the 39-acre Newman Poses Nature Preserve in Westport. The entrance to the preserve is located between 307 and 313 Bayberry Lane. The nature preserve was made possible by land donated by Westport residents Paul Newman and his wife, Joanne Woodward, and Lillian Poses, their neighbor and friend, who worked on the New Deal in the FDR administration. The preserve has become a popular destination for Westport residents and has frontage on the Aspetuck River where Newman, who lived nearby, liked to swim. Aspetuck Land Trust launched an effort this spring to beautify the entrance to the preserve. Local companies like Gault Energy donated topsoil and gravel, Oliver’s Nursery provided native plants at discount prices and Bart’s Tree Service removed invasive and hazardous trees. Staples High School interns built a stone wall and walkway. Aspetuck Land Trust is seeking donations to help defray the costs of the improvements. To learn more, or to make a contribution, call 203-331-1906. The Connecticut Audubon Society Center at Fairfield will usher in the fall season by hosting an evening of storytelling on Sept. 14 at 7 p.m. Storytellers and listeners are invited to an entertaining occasion centered on the theme of autumn. Come with a favorite story about a memorable fall experience or impression — hiking in the woods, apple picking, brilliant foliage, harvest fairs and more. Prepare a five-minute account of a true personal experience, told without notes, with a beginning, middle and end. Or simply come to enjoy the tales of others. The Connecticut Audubon Society’s Center at Fairfield is at 2325 Burr St. Cost is $10 for members, $15 for nonmembers. Registration required at www.ctaudubon.org/218/08/early-autumn-storytelling, or call 203-259-6305, ext. 109. Mary McTague, of Fairfield, was named to the spring semester dean’s list at Furman University. Mia DeLasho, of Fairfield, was named to the dean’s list at Lawrence University.